PicMonkey is giving bloggers with no design experience the ability to bling out their blogs themselves...isn't that awesome!? You don't have to pay someone else to do it for you anymore unless you want to. But why not have some fun? The Valentine's Day image above was made completely with PicMonkey elements...I did pay for the upgrade to Royale, but it seems totally worth it to me. 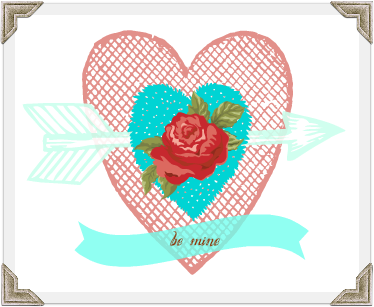 You can make adorable web designs for your blog and your sidebar...say Happy Valentine's Day to your readers by presenting them with an adorable "virtual" valentine! We've added some more blank canvases for you to work with...all you have to do is right click on the shape and save it to your computer. Then upload as a photo to PicMonkey. The numbers are pixels...this is the size of the image. I love you guys! I am still so green at all of this, but I swear, every day you help me just a little bit. Even if I just Pin your post to view later! Thank you SO SO MUCH! I also love PicMonkey! Tannis, I'm so glad. Let us know what else you want to learn about! We'd love to help you out on your blogging journey! Hugs! I know, me too. But it was a no brainer. I mean, I paid to use PicNik and it wasn't as good. So I said OK! you're so awesome for posting these! i love using picmonkey and having a base to start from is so helpful! Do you know the size that will translate to business cards? Your tips are so helpful! Thank you!